It’s a sunny Tuesday afternoon, and Shirley is sitting on ‘Champagne Rock’ on the banks of her property in Queensland. This is where her and her friends often gather to celebrate victories over a drink – or just reflect and envision what lies ahead. And, Shirley has a lot to celebrate. That’s because through investing, Shirley has created an enviable lifestyle for herself and her family. But, the road to financial freedom wasn’t always a smooth path to travel. She grew up in a remote country town in central Queensland. Raised by her aunt in her teenage years, Shirley was brought up with the attitude ‘to serve’. This led Shirley to train and practice as a registered nurse. After twenty years of working in the operating theatres – as well as spending time overseas helping people in poor villages – Shirley left to teach at TAFE. And she did this until she was headhunted to run a retirement village. “Running a retirement village gave me the management, financial budgeting skills and confidence to buy the management rights to a large resort on the Sunshine Coast when the opportunity arose,” explained Shirley. Shirley’s risk paid off and the business turned over a very healthy profit for a number of years. “It was a challenging and rewarding venture that I very much enjoyed, but unfortunately in 2014 I had to sell the management rights when I was diagnosed with breast cancer,” said Shirley. It was in 2014 that Shirley came across Dymphna Boholt and the I Love Real Estate Community. “Before meeting Dymphna we did own a few properties and of course, we had made the classic rookie error of putting the properties in our own names,” explained Shirley. “Despite not having structured our portfolio properly, we were in a pretty good position. We owned a farm, industrial sheds, offices and a couple of other investments. But having met Dymphna, we immediately realised that we were doing some things ‘wrong’ in our investing ,” said Shirley. In late 2016, Shirley decided to get even more involved with the ILRE community by getting involved with the Platinum program. Since then things began to fast-track for Shirley and her husband. “I really loved how supportive and friendly the community is. I have made many real and lasting friendships through ILRE,” said Shirley. So how valuable does Shirley find the I Love Real Estate Community? Well, every month, Shirley drives 1,000km to attend monthly IRLE property investor meetings! This is the sort of attitude that Dymphna really encourages in her students. That’s because the more you learn and take action – the more you can earn financially and grow as a person too. The fruits of her ‘what-ever-it-takes’ attitude, are certainly showing up in Shirley’s financial results. And best of all…Shirley bought 81 industrial sheds with 100% occupancy and a yield of 8.2%. This is a true cash flow bonanza! She is even looking at putting a solar farm on the roof of these sheds to skyrocket her cash flow even further. All of this in just four years! Shirley now enjoys a sizable six figure income from her portfolio – and she is really just warming up. Like many of the IRLE community, Shirley loves to share her knowledge and help others get started on the road to financial freedom. That is how we landed on of our best investments. 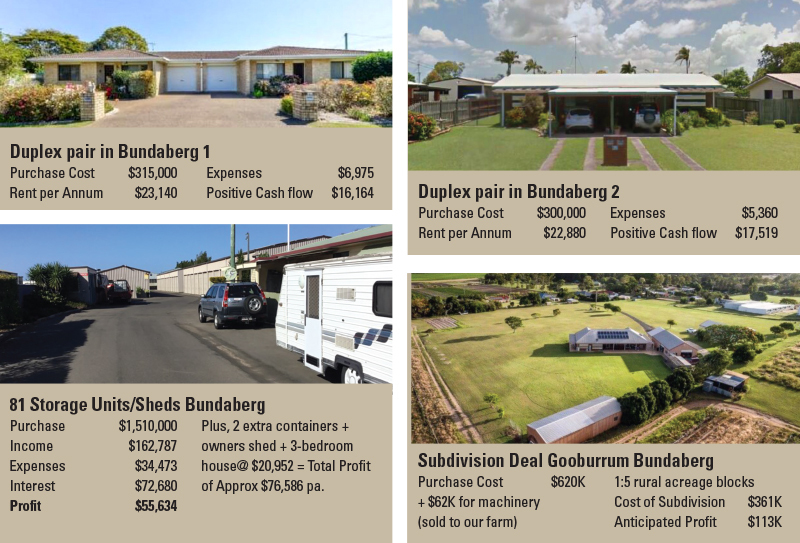 We made friends with a Real Estate agent and one day he rang us up with an offer to purchase storage sheds coming on the market – so we bought 81 sheds which provide a very generous 8.2% return,” said Shirley. 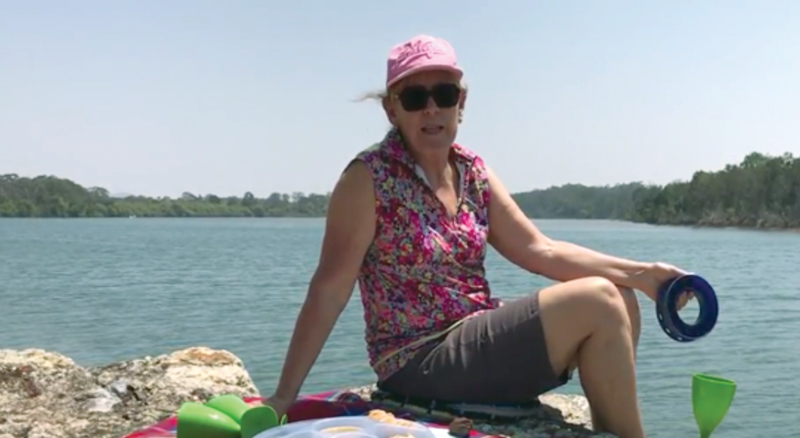 Shirley has learned many lessons on her journey to financial freedom. “Asset Protection was one of the biggest takeaways from Dymphna’s teachings. Due diligence and following processes is absolutely paramount before any new venture or investment. Never buy from marketeers (I learned that one the hard way! )” said Shirley. Part of the joy of this whole journey for Shirley is being able to give back and help others. So, during this journey she has also done volunteering overseas in Cambodia and off a remote island in Vanuatu. She plans to do much more work like this, because there is an urgent need for it. So yes, some would call her ‘crazy’ for driving 1,000km to an investor meeting. But we would say she’s a living example of what’s possible when one combines a big vision… With the right support, education and massive action!